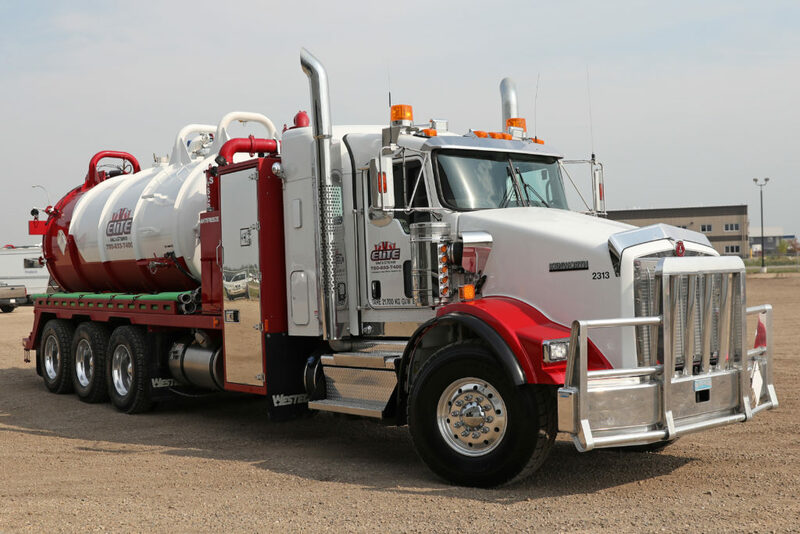 Elite Vac & Steam combo vacuum trucks are manned by experienced, reliable, and hard-working professionals, who have been in the industry for many years. Regardless of the time of day or night, our experienced dispatchers will be available to send out the right people, to the right location, in a punctual manner. On location, our operators communicate with our clients to properly execute the job in a cost-effective and knowledgeable approach. Our combo vacs are equipped with high pressure-washing systems and TC-407 regulated vacuum tanks, making them ideal for any job you can throw at them. The flagships of our combo fleet hold 4 m3 of water, 13 m3 of slop and can pull an additional 12m3 pup. They’re the right tool for spill/rig cleanups, cement jobs, fracs, tank cleaning, and more. Looking for the best of the best combo vac services? Our team is ready to serve! At Elite Vac & Steam, we intentionally manufacture our fleet with high-capacity units capable of handling almost any job. In house mechanics and highly trained operators keep each piece of equipment clean and in impeccable condition, ready to serve you better. At Elite Vac & Steam, we carry both code and non-code combo vac units, allowing us to haul dangerous goods that regular equipment isn’t qualified for. When the ground is contaminated with gas or oil, we can clean it up. Our straight vacs and combo vacs have high capacities to haul your water, debris and waste in Grande Prairie, Peace River and Northern Alberta. Interested in Combo Vac Services?